Winner of 5 Tony Awards, ASSASSINS has established itself as an exciting contemporary musical theatre classic since its 1990 off-Broadway premiere. Meet all the people who have tried to assassinate Presidents of the United States and hear their stories and justifications. 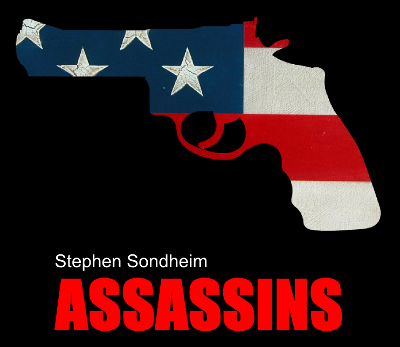 Featuring Sondheim’s beautiful music, black comedy and guns, ASSASSINS is a brilliant reflection on the American Dream. Wednesday 8th June to Saturday 11th June 2011, 7.30pm each night.